Spending time with your dog can be a hassle when you don’t know where they can go. 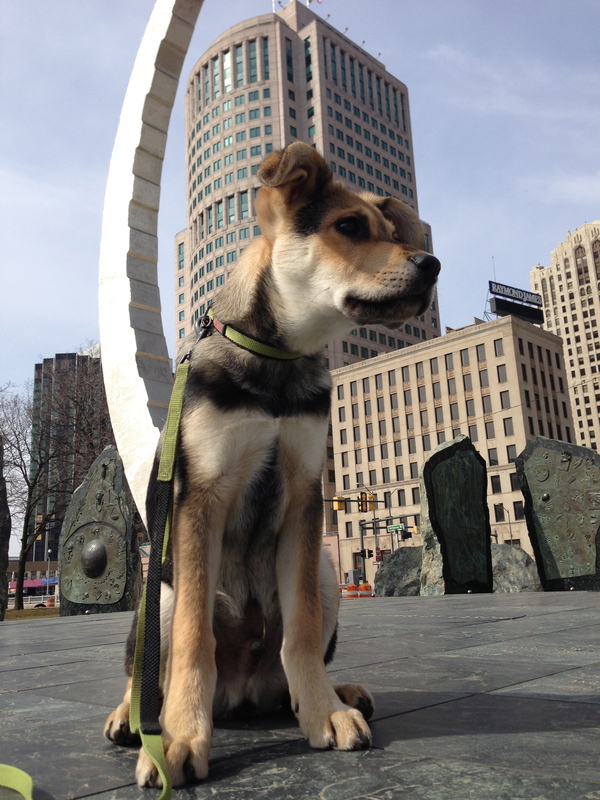 It is hard to pinpoint specific locations that are dog-friendly, so we have come up with a beginners list to hanging out with your dog in Detroit. Old Tigers Stadium. The only place as of right now within the city that is completely fenced in. BONUS: There are almost always more dogs there to play with! Eastern Market. Although the little fur balls are not allowed in the sheds during market hours, majority of the surrounding shops allow them inside! Dequindre Cut. This long greenway is a great place to enjoy some local graffiti art while getting exercise for both you and your four legged friend. Riverwalk. Another great place to walk and stop by Rivard Place for a snack! Hart Plaza. This grand plaza is full of historical statues and the newly restored fountain to enjoy! Heidelberg Project. This completely outdoor art neighborhood is a sight for all! Eat! Detroit is known for having some of the greatest food establishments around. Traffic Jam and Snug. Besides having outstanding food, they have a completely fenced in patio and always allow dogs! Park Bar. Considering this is just a bar with Bucharest adjoining it, you can bring your pup in for a brewski and a shawarma! Beach Bar & Grille. This new beach joint is completely outdoors. They also have fountains for your dog to cool off in. Do you have some more suggestions? Please share them with us!